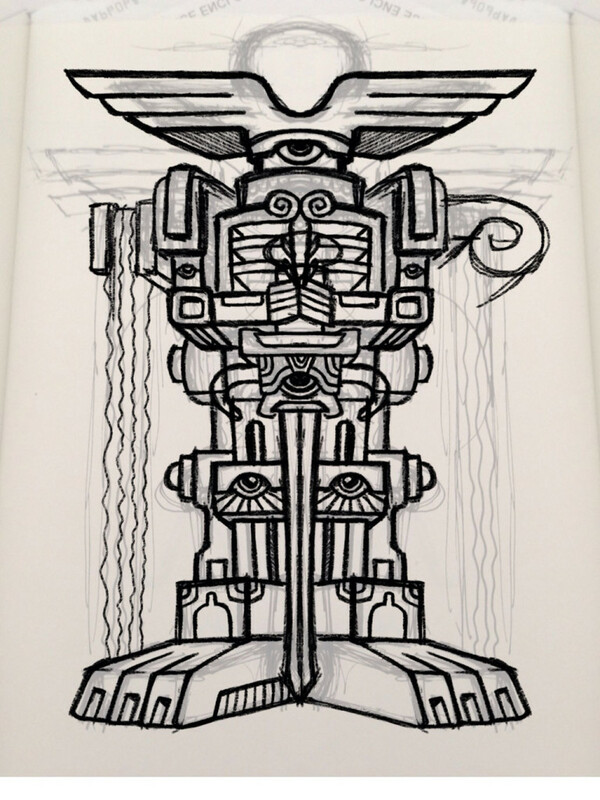 Warrior Temple psychedelic monster temple sketch. Wanted to play with the idea of a body as temple. Also has a sense of armor. The winged head is too plain, needs work. This entry was posted in Art and tagged armor, art, body, creature, eye, face, psychedelic, sketch, temple, warrior, wings. Bookmark the permalink.